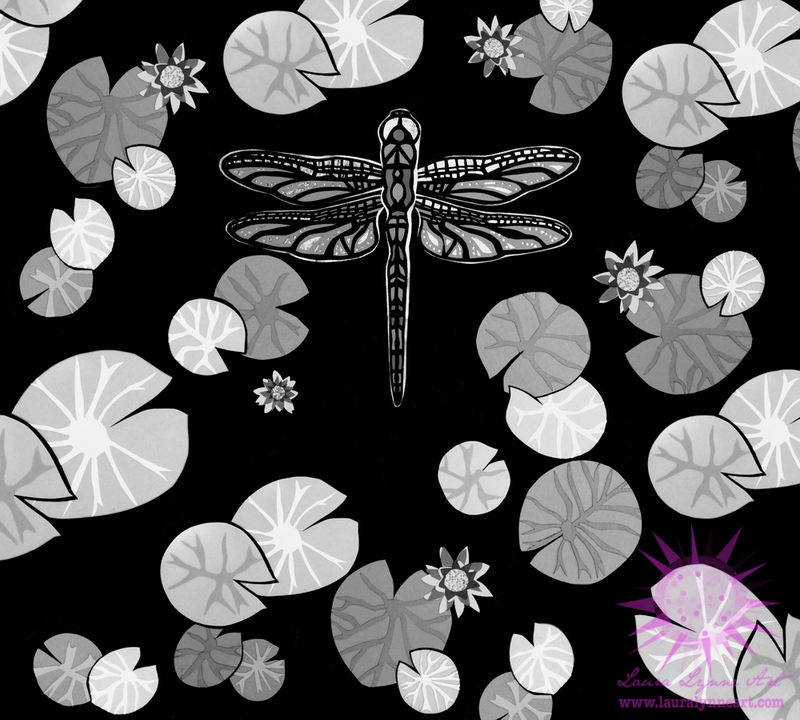 On one of my trips to Wisconsin I laid on a hammock and looked up at many dragonflies zipping around at a fast pace to catch insects. I see them on ponds and watched them gliding over the water and resting on lily pads while canoeing in northern Wisconsin. The dragonfly is a symbol of changing direction in your life. This piece was commissioned by someone who’s mother was going through a major life change. Here is the finished commission piece I completed in 2015. To purchase prints, please visit my shop. About the Artist/Author: Laura Lynne is a mixed media hand cut paper artist living and working 40 miles west of Chicago in Aurora, IL. She uses her photographs, metallic paper, and painted papers to create boldly colored, whimsical artworks. To see more of Laura Lynne’s original art, pet portraits, illustrations and jewelry, please visit www.lauralynneart.com.